Over the past couple of months, our In Their Words videos have shared the stories of friends and partners who were impacted by Hurricane Harvey. All of us who were in the storm’s path—including our Corpus team—will never forget the havoc wrought or the lives changed. One year later, we remain humbled and deeply honored to be a part of Texas’ dynamic, strong coastal community. Together, we persevered and continue to rebuild. We hope you’ve enjoyed watching the videos and have felt inspired by the courage, persistence, and grace of these Texas restaurateurs. 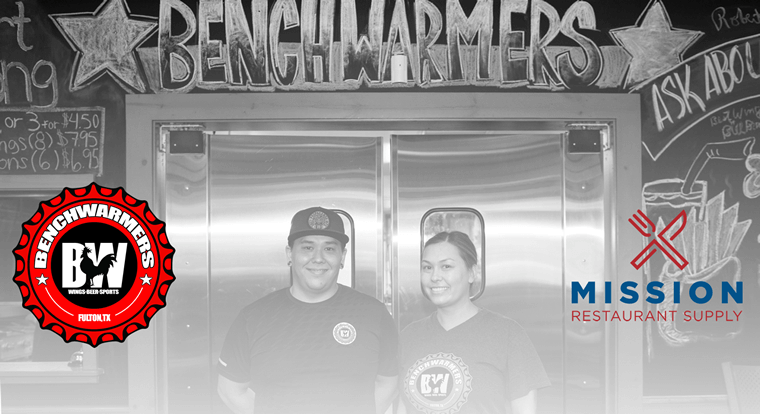 Our last video from this segment features a family-run restaurant called Benchwarmers in Fulton, Texas. Laura Brown and her brother, Adam, are the brother-and-sister duo behind this popular bar and dining destination. Located on Fulton Beach Road, Benchwarmers is known for its eccentric burger menu, ice-cold beer, and crazy-good wings. Jay Kenigsberg and his wife Stephanie are the owners of Seafood and Spaghetti Works in Port Aransas, Texas. In the summer of 2018, the duo celebrated the restaurant’s 40th anniversary, a milestone that was particularly poignant and meaningful considering the year they faced together after Hurricane Harvey. 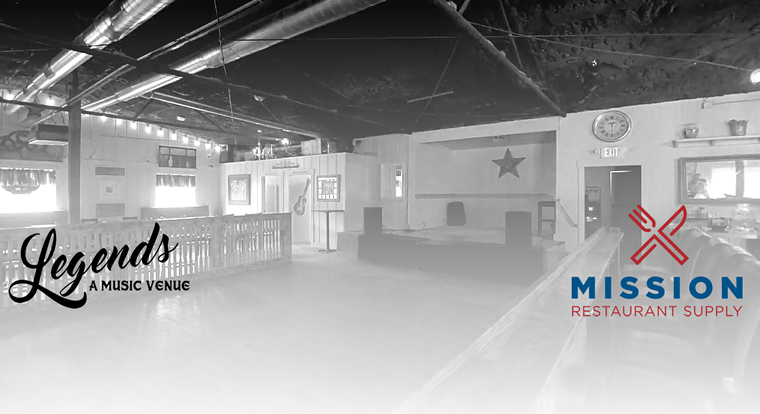 Donna Thompson—known locally as Donna T.—is the owner of Legends, a bar and music venue in Fulton, Texas. Prior to Hurricane Harvey, Legends was a staple in this coastal town, a place where people came to dance, drink, and have a good time. When Hurricane Harvey made landfall on the Texas gulf coast in August 2017, ocean-front restaurants like Black Marlin Bar & Grill in Port Aransas, Texas, were impaled by high-force winds, torrential rain, and rising tides. Black Marlin, which is a part of the Palmilla Beach Resort & Golf Community, was devastated by the storm as was the property’s manicured golf course. Like other businesses across Mustang Island, Black Marlin was forced to re-build post-Harvey, but it has come out of the experience stronger than ever before. Every summer for thirty years, our Mission family members have been traveling to Port Aransas, Texas, on Mustang Island. This coastal community is full of wonderful restaurants such as Trout Street Bar & Grill. Trout Street is an institution in town known for its locally-caught, fresh seafood, marina-facing views, and super-friendly staff. Throughout the island, locals choose Trout Street for life’s celebratory occasions. Though casual in feel, the restaurant has a special seaside character that is both inviting and quaint. When Hurricane Harvey swept the Texas gulf coast in August 2017, businesses of every shape and size were affected. Port Aransas restaurateur Greg Villasana felt Harvey’s impact firsthand. 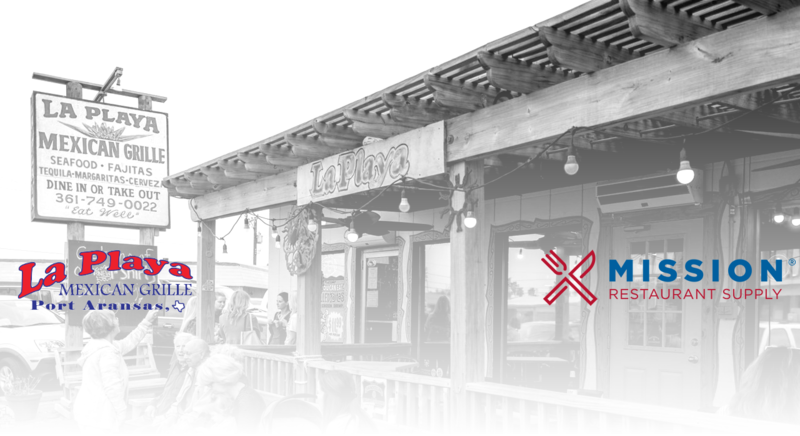 As the owner of Mustang Island hot-spot, La Playa Mexican Grille, Villasana had to wait out the storm and hope for the best. MissionRS.com Has a Brand New Look! The Mission Restaurant Supply website has an updated design. 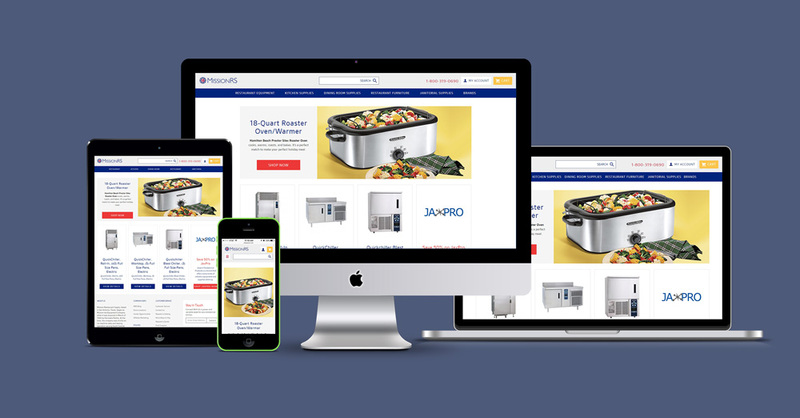 The new e-commerce site introduces a fresh logo, an overall design facelift, and new technology. 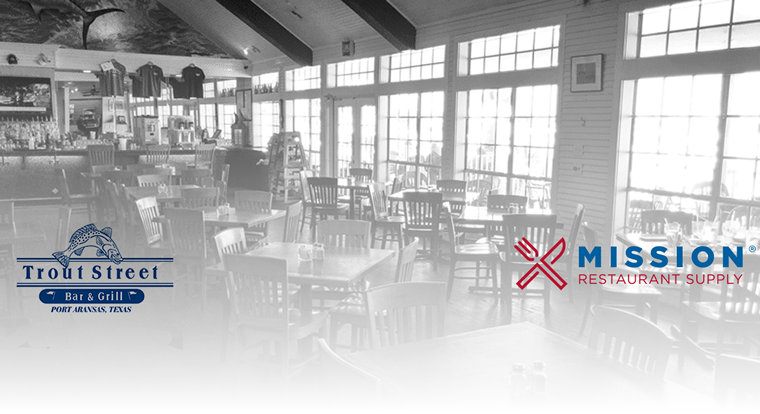 Mission Restaurant Supply has always helped restaurant managers and business owners get the supplies and equipment they need in a timely manner. 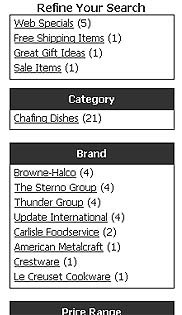 With the new MissionRS website, you will find that shopping online for your foodservice needs is even easier. We’ve had many great questions from our customers regarding why our name is Mission Restaurant Supply- what’s with the Mission? 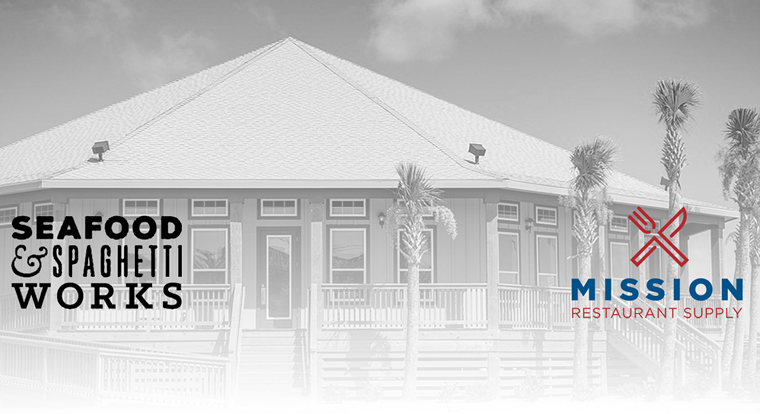 Some of our customers have asked if we are headquartered in Mission, Texas (we are not) and some have guessed that we just thought it was a strong, solid name, but the truth is that we have chosen the name Mission for a reason. Read our description below to learn the real meaning behind our logo and our name. Mission Party Ice was acquired in 1988 and served as a local ice machine and refrigeration sales and leasing company until we grew into what is now Mission Restaurant Supply in 2001. The name “Mission” is derived directly from our local culture and the presence of the 5 historic Spanish Missions here in San Antonio. If you are unaware of the history behind these historic structures, you can read about it in more detail here. 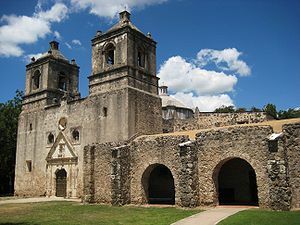 In a nutshell, the San Antonio and South Texas Missions were used to help buffer the French forces from the Spanish frontier back in the early 1700s. These outposts came to be run by Catholic religious leaders who hoped to spread Christianity to the Native American people. Our logo boasts Mission Concepción, which is one of the only unrestored stone Spanish Mission churches in America, and it is in the best shape of all the Missions here in San Antonio. The snowflake represents our commitment from the beginning to quality commerical ice equipment and commercial refrigeration, and this snowflake encircles Mission Concepción as a way of commemorating our history. The San Antonio Missions are symbols of our city’s heritage, while they are also symbolic of perseverance and sustainability. They have weathered the course of time just as we hope to do, and they strongly represent the city of San Antonio and all of South Texas. Mission Has a New Website! Here at Missio n we’ve been discussing a complete redesign of our website for months now. Countless hours have been spent pitching ideas and trying to come up with the perfect design that we felt our customers could truly benefit the most from. Through phone calls and e-mails you guys have always told us what you liked and what you didn’t like about our site. And we listened! First off we wanted to make shopping with Mission a much easier experience. We actually started implementing this idea about a mont h ago. Our new search engine is geared at helping you find exactly what you are looking for. Now once you search for an item on our site, you can narrow down to exactly what you are looking for by clicking on the “search facets” on the left side of the page. The new search engine also learns from what everyone searches for to help fine tune each result. Our next goal was to make the site more personalized for you as well. Our new site is designed to actually remember you as a shopper. Now when you visit our site, it will remember what items you recently viewed and display them on the home page. 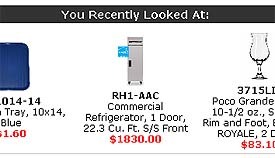 It’s great if you can’t seem to remember what refrigerator or oven it was you were actually looking at last week. On top of remembering what you recently viewed, the site is now designed to auto suggest other items that you might find useful based on the items that you’ve already viewed. So if you are only interested in catering items you will now be shown catering items, if you are only looking for items that would be great for home your recommendations would be other great items for your home, and so on. It’s your own personal shopper! One last thing that we have been busy working on is updating our product pages! From finding and updating product images, updating and completing information from the manufactures, and keeping our prices super low. We’re also updating product pages based on questions that you have asked us. You see? We are listening! These are just a few of the current things being worked on for the website. We have lots of new ideas and features that will be updated throughout the next few months. We are just so proud of what we have currently created so far, that we felt the need to show it off to you as well. We hope you like what we have done and if you have any ideas or suggestions for our website feel free to e-mail them to us at info@missionrs.com. Remember, great companies are built up through customer feedback and suggestions. We want to hear from you! 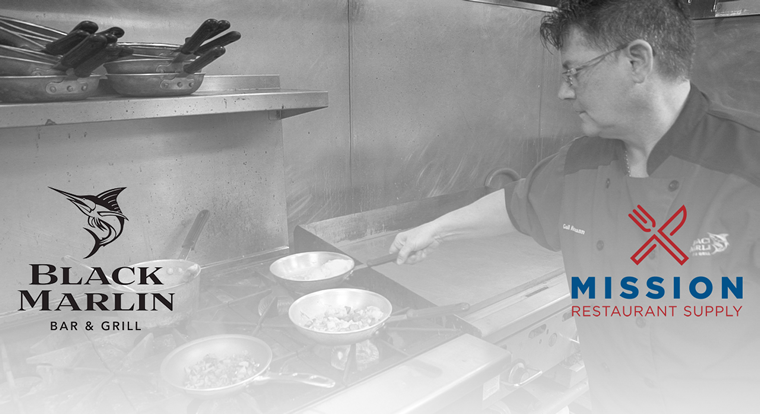 At Mission Restaurant Supply, we’re always proud of the job we do and the products we sell. Not only do we believe in the companies we represent and what they can do for restaurants across the country, we also love to use all of our products in our own homes. Here’s a glimpse at some of the amazing people that work for you day to day and the products they can’t live without. My wife and I have differing opinions on what type of cookware to use. I like the cast iron stuff, but she loves stainless steel so we have a little of both. We also have cutting boards and some really nice knives that we bought at Mission. I love to entertain and have little get-togethers at my house so I’m constantly getting new decorative items. I bought some pretty tongs, a huge molcajete for serving dips and such, and some nice serving trays that I think are very reasonably priced. I bought all of the basic stuff for my house. Mostly just cups, plates, and silverware. What’s nice is that you don’t have to buy the plates and cups in huge quantities if you don’t want to. Most of them are sold by the dozen. I would say that my favorite thing we have are our spatulas, especially the set that you can buy. I also really like those metal cake pans with the plastic covers. I do a lot of baking so I like pretty much anything by Nordic Ware. I bar-b-q all the time so I made sure to get lots of stuff that I can use with my commercial smoker. I’ve got this cool 3-piecegrill utensil set and some BBQ mops that I got at Mission. I’m even trying to talk some of the guys into forming a competitive grill team. I’ve got tons of our pots and pans, mostly stainless steel. At Mission, we really have a lot of variety and we keep everything I need in stock. I love to cook so I bought a lot of different cookware at our store in San Antonio. My favorite items are just our everyday kitchen necessities. Over the years I’ve bought graters, measuring cups, colanders, and other random kitchen gadgets. My splurge item was a really nice blender. When I cook, I like to cook with good stuff. I have pretty much everything made by OXO that we sell. Their peelers and choppers are very ergonomic and easy to use. I also have some plastic tumblers to keep at the house because they are really inexpensive and more convenient than glasses. I think the item that I use the most from Mission is my 12″ cast iron skillet that I bought awhile back. I use that thing all the time and it’s easy to clean. I have also collected other random pots and pans for day-to-day use from our store.